Stefanie Halstead began studying gymnastics at The Central California Gymnastics Institute. Focusing on ballet, she eventually received a scholarship for further studies. Ballet Companies that she danced with soon included Lively Arts Foundation’s Central California Ballet Company, the Oakland and Boston Ballet Companies. It was her ballet training that ultimately required her to take various classes in related fields such as musical theater and acting. Enjoying the acting classes, she decided to pursue the subject further, eventually being accepted into the prestigious Playhouse West School and Repertory Theater in Los Angeles, where she completed the 6-year Advanced Program for Film Acting and Screenwriting. The school had amazing teachers and small class sizes with incredibly talented students, including now famous actors James Franco and Scott Caan. Kings River Life Magazine wanted to find out how Halstead went from following the direction of choreographers to essentially choreographing film. James: When did dancing become more than simply a hobby to you and became a profession? Stefanie: I started gymnastics at the age of two and proceeded to study ballet, tap, jazz, hip-hop, and lyrical dance. When I was in grade school, I auditioned to be in the Nutcracker in Fresno and I got a part in the show. This was so exciting to me. I loved everything about being part of a ballet company putting on a professional show. After getting noticed during the show, I received a scholarship to study ballet. This training that I was so fortunate to be given is what opened doors for me when I started auditioning for other shows and companies. James: When did film-making become an interest? Stefanie:I have always loved film. I think it’s a beautiful medium that can reach people from all walks of life. 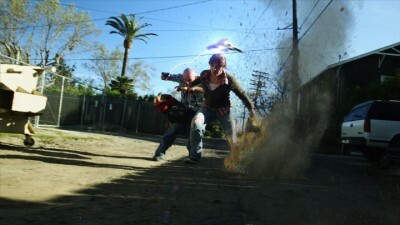 Through sound and visual storytelling so much can be conveyed. I have always been affected by really great films and it’s always been an art form that interested me. James: What is the plot of Lex? Stefanie: Lex is a film about a little girl who has secret super powers. When her powers are the cause of a childhood accident, she swears to never use those powers again. When the world is attacked by unknown alien predators, she must decide to keep her childhood promise, or to use her powers to save the person she loves most. James: How did you come about writing the film? Stefanie: The director was looking for a screenwriter and he heard that was what I went to school for. They had the entire crew lined up, including the director of photography, grips, animator, production sound company, make-up artist, composer, etc. They were looking for a writer, and they were still locking in all the set locations. James: What did being an on-set consultant for the film entail? Stefanie: This included answering any questions for the director or actors regarding what the characters were thinking or their motivation to say certain things. The script had already been through many, massive re-writes; however, if there were any further re-writes that the director was concerned about at the last minute, I was there to do that. James: What can you share about your new writing projects? Stefanie: I have a few writing projects with two different production companies coming up; one short and two features. James: With Oakland and Boston Ballet on your resume, it sounds as if you were going places: How did you end up getting the idea to go to Playhouse West for Screen Writing and Film Acting? Stefanie: I didn’t completely stop dancing when I started going to school for film. I was working as a dancer for Disneyland, performing in their parades and also taking classes from the Millennium Dance Complex from Shane Sparks & Wade Robson. I love both the art of ballet and film. They both give me the chance to weave beautiful stories. They have the power to convey emotion, provide escape and provoke thought. I believe that art is a strong weapon that can change many things. James: What can you tell me about being Miss Dinuba? Stefanie: Being Miss Dinuba was a great experience for me. The pageant is a wonderful program that helps young women develop poise and confidence. It encourages leadership and a sense of duty to the community. The pageant opens many doors for the young girls who participate. James: Tell us a little about Dance Dolls. Stefanie: We have small class sizes which allow each student to receive individual attention. 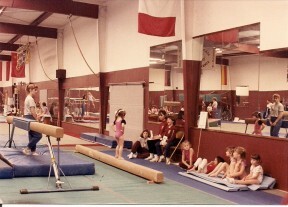 The classes focus on teaching strong dance and gymnastics technique. It is an important part of my job, not only to truly pass on correct form and technique, but equally important to ensure that the students are having fun, and developing confidence and self-esteem. Dance Dolls has a performance team that dances in parades and many local performances. We also offer classes in film acting. James: With Dance Dolls, can it be said that you have come back “home” to Dance? Stefanie: I started teaching dance at a very young age. I also directed children’s plays and musicals for a private elementary school in Encino, California. I have always enjoyed teaching and working with children. 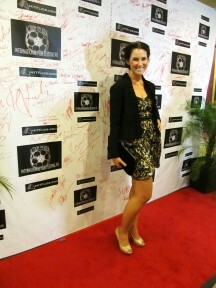 I am very fortunate to have the opportunity to teach dance and work in the film industry. I would like to note that any success I’ve had with both dance and film is due to the amazing teachers that I have learned from. The success of Lex was due to the talented people who were all experts in their specific fields. Film is a group effort and I played a small part in this piece of work. Kings River Life Magazine would like to thank Stefanie Halstead for taking the time out of her busy schedule to sit down with us. 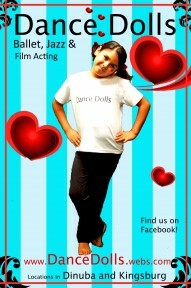 With locations in both Kingsburg and Dinuba, Dance Dolls offers classes in ballet, jazz, gymnastics and film acting. For further information please visit the Dance Dolls website.